Some of the most memorable places aren’t even real. Ask any child; he’ll tell you all about Narnia, Middle-earth, or that galaxy far, far away. All are paracosms by definition — detailed fantasy worlds with imaginary creatures, languages, geographies, and their own elaborate timelines. While Ernest Greene isn’t the same sort of storyteller as Lewis, Tolkien, or Lucas, he has created a similar sort of pocket universe once before in 2009 — one constructed wholly from sound, where everyone is forever young and it is always summer. 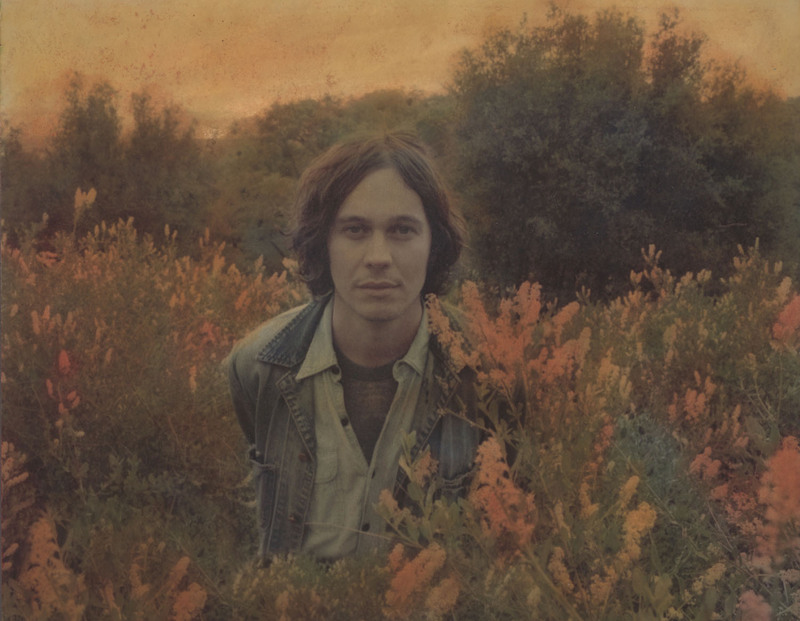 Under the moniker Washed Out, Greene recorded the Life of Leisure EP and its indelible anthem “Feel It All Around,” and in the process, practically invented a genre. Chillwave was bedroom synth pop built upon sounds of the 80’s but ready for the Internet generation — wispy, narcotized, and appropriately impermanent. Paracosm represents a welcome return to the warm, sloshy vibe of those halcyon days. 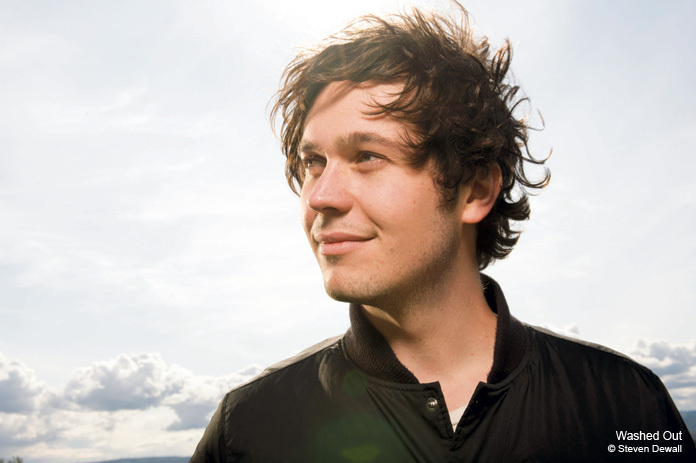 It’s bigger and bolder than Washed Out’s 2011 debut full length Within and Without, in which Greene tried to recapture a sunny vibe but flirted a little to closely with bland, new age-y tropes. 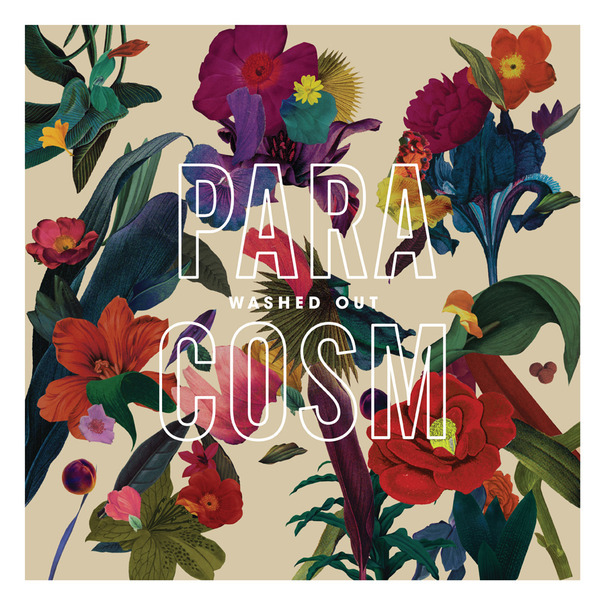 Paracosm’s teleportation powers are somewhat lessened by its sonic familiarity and lyrical vagueness (ironic given the detailed nature of the album’s namesake), but Washed Out still delivers a pleasant buzz that’s somewhere between comfortable yet exotic. It’s a great summertime distraction with no strings attached — take what you like, and leave the rest. Lead single “It All Feels Right” is the closest cousin to “Feel It All Around”, right down to that reverberating drum fill and languid, sun-kissed melody; not surprisingly, it’s Paracosm’s finest moment. It’s a gauzy, swooning tapestry of aural opulence, beefed up chillwave that feels like a direct descendant of The Flaming Lips’ psychedelic The Soft Bulletin. Greene intones: “Weekend’s almost here now/ It’s getting warmer outside/ It all feels right” — a line that’s elevated from stoned, teen-aged mission statement to something closer to transcendence by the gorgeous instrumentation beneath it. Paracosm features the richest palette of sounds to grace a Washed Out record yet — the title track’s melody is built upon piano and harp glissando, “Falling Back” floats by on marimba and soaring orchestral strings, and “Don’t Give Up” lays tropical island percussion over an R&B bass line. An ambient backdrop of birds chirping, people talking, and hands clapping, winds all throughout Paracosm, lending it the humming, vibrant feeling of constant activity. Much of Paracosm plays out like a glimpse into the hazy rear view mirror of Greene’s life — “Don’t Give Up” dwells on a past romantic relationship, “It All Feels Right” implores you to “think about the old times,” and “All Over Now” pines for something relinquished. Coupled with 80′s style synthesizers and Greene’s droning, fuzzed-out vocals, Paracosm once again taps directly into that mainline of nostalgia (real or borrowed) that marks the youth of anyone who grew up on new wave and synth pop. It’s the sound of euphoric recall, offered with the same line of thinking that 80′s Night at the club can be better than the 80′s themselves — all the good times and none of the bad haircuts and coke binges. Submission into Paracosm requires a willingness to accept this sort of illusion, an awareness that since Greene’s distilling most of the impurities out of this music, you’ll get a gorgeously smooth concoction that bears a distinctly artificial flavor. This ephemeral, unreal quality is both the grandest achievement of a Washed Out record, as well as its Achilles heel. Paracosm’s nine songs come and go like sand through your fingers, a forty minute hourglass that once completed, can be flipped over and poured again, or just as easily forgotten. I came to terms with Paracosm while vacationing at a lake house in the Smoky Mountains of North Carolina, just a few hours drive from the warm, idyllic campus where Greene went to college and first recorded his airy, hypnotic soundscapes. This lake is secluded and unspoiled, the air is thick with promise and contentment, and even the occasional rain shower is often accompanied by rays of sunshine. It’s location seems to confound our GPS systems — the house is so carefully hidden you’d almost have to slip through the back of a giant wardrobe to get here. I can imagine Greene spending his days and nights in a locale like this, absorbing the scenery, and delicately crafting soundtracks to his own perpetual summer. It’s the kind of place where you go to feel a sense of wonder, peace, and rejuvenation — magic, even — and experience those quietly extraordinary moments out of which the mind sculpts fond memories. Paracosm is like this, but for your ears — a fleeting occurrence when you can pretend the chaos and calamity in the real world doesn’t exist and maybe even find some respite. Although its tinged with ambiguity and elements of the fantastic, it delivers a brand of escapism that is tempting, even necessary, and indisputably real. This entry was posted on August 16, 2013 by Jeff Goodwin in Reviews, Washed Out and tagged ernest greene, It All Feels Right, Paracosm, washed out.